The Wolfpack girls enter subdistricts as the #2 seed. Pairings are out and, yes, it’s always a sign of a sport season coming to the end. Subdistricts. 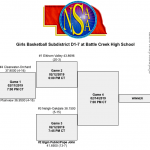 The NSAA released pairings for the D1-7 subdistricts in girls basketball. It has the Elgin Public-Pope John (EPPJ) Wolfpack as the #2 seed, just behind Elkhorn Valley (20-3). 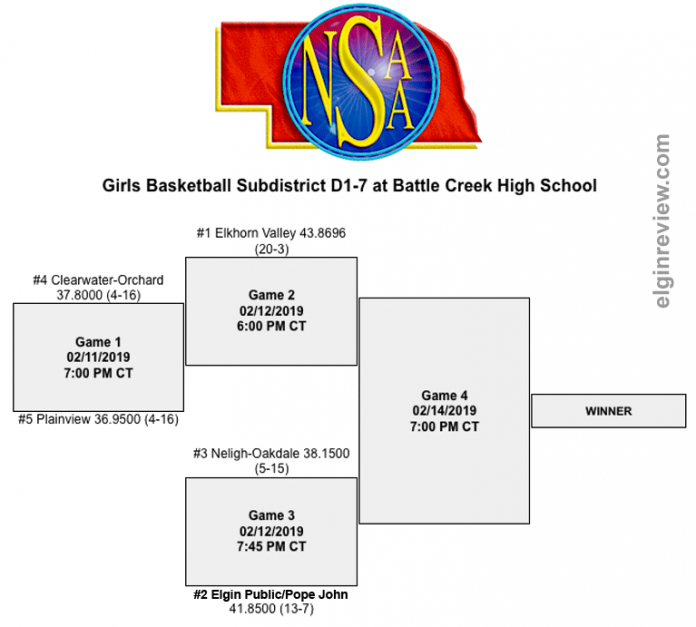 The Wolfpack (13-7) will play #3 seeded Neligh-Oakdale (5-15) on Feb. 12 at Battle Creek High School. Plan to come out and support the girls ask they work to extend their season.